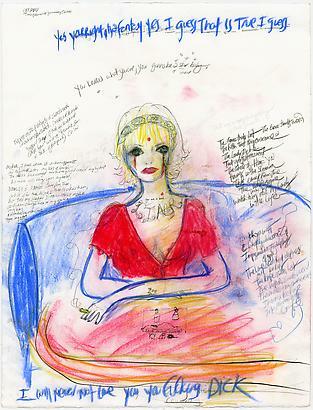 While art and Courtney Love may not go hand in hand, in the exhibition Courtney Love And She’s Not Even Pretty, over 45 of her drawings will be on view for the first time and feature doll-like women surrounded by Love’s emotionally fraught writing, excerpts of poetry, or compelling music lyrics. The owner of GoGo Curry is obsessed with the Yankees Hideki Matsui and his Jersey (55). The menu’s theme is baseball and katsu, a fried meat, chicken, or shrimp cutlet served in a curry sauce is the specialty here. Portion sizes are Walk (small), Single (Med. ), Double (L), and Triple (XL) and are inexpensive. The mascot, a gorilla for some reason, is plastered everywhere, making this place even quirkier. In the heart of the garment district, Stitch, a cozy after-work bar/lounge, stocks a cocktail menu with a design theme. If you still have energy and are in the mood to bowl, check out Leisure Time Bowl. Located in the Port Authority, this place is stylish and fun.